Today is Day 4 and this gift falls into the “thrifted” category. I found two large apothecary jars at an Estate Sale this year and knew they would make great gifts. 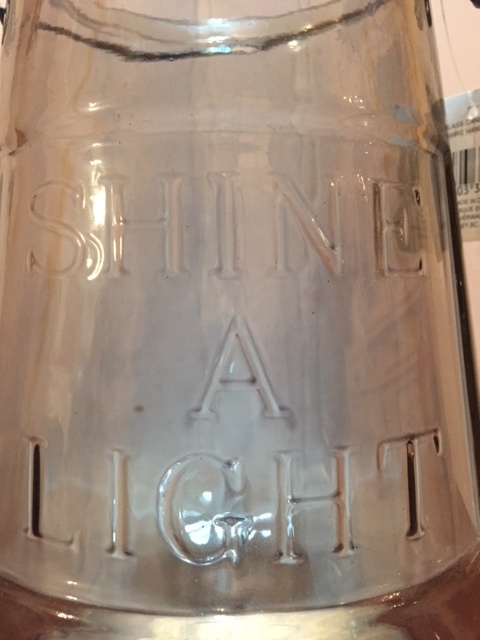 I was attracted to the “Shine A Light” on the front of the jar. 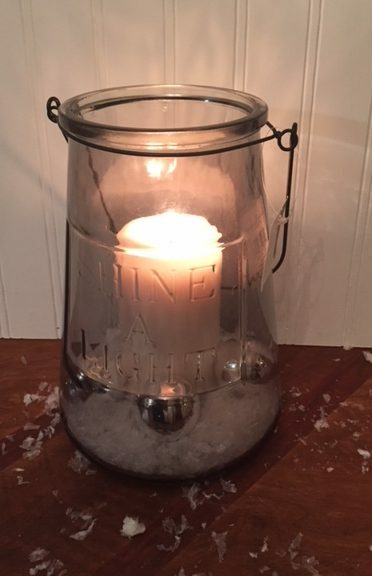 One of the jars got some twigs, fake snow and silver balls and the other some fake snow and a candle. I saw a very similar idea at IKEA this year with twigs and balls in a large clear jar. I know these will look great in their new homes. I hope the recipients feel the same way. I cannot wait for you to come back and see what Day 5 brings. 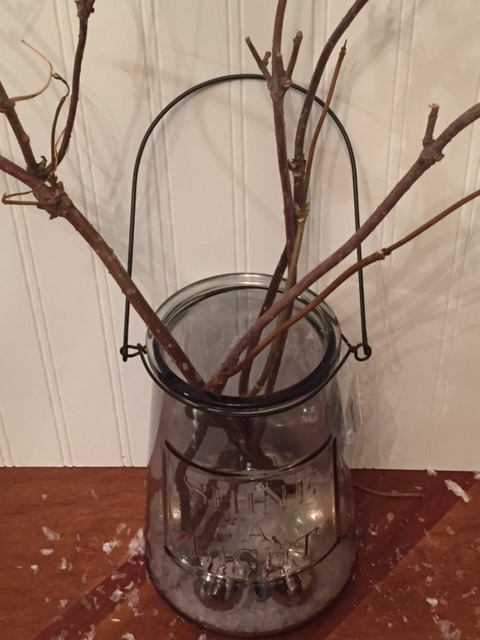 This entry was posted in Decorate, DIY, Make, vintage and tagged 12, 12 Days of Christmas, apothecary jar, balls, challenge, cheap, Christmas, Crafts, creativity, days, Decorate, DIY, easy, Food, gift, gifts, ideas, inexpensive, recycle, repurpose, reuse, simple, twigs, white. Bookmark the permalink. I can see so many possibilities for these jars for every holiday and season! Jealous I am not there to pick one up! Great ideas. I love the neighbor gifts especially.